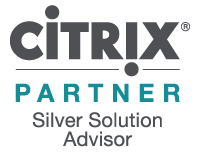 H+H Software GmbH is Silver Partner of Citrix Systems GmbH. The Electronic Journals Library is a service to facilitate the use of scholarly journals on the internet. It offers a fast, structured and unified interface to access full-text articles online. Ribeka realized with the H+H solution NetMan Desktop Manager the installation of SchILDzentral® in terminal server environments. Subscription management services for more than 360,000 serials, including 57,000 e‑journal titles and 700 e-packages, active relationships with more than 96,000 publishers around the world. H+H Software GmbH is a Microsoft Silver Partner in the Silver Independent Software Vendor (ISV) competence. Veeam Software, VMware Technology Alliance Premier Partner and member of the VMware Ready Management program, provides innovative software for VMware vSphere 4 and VMware Infrastructure 3.